myblu™ Liquidpods in Vivid Vanilla flavor are the perfect option for you if you’re looking for a subtly sweet vape. Vivid Vanilla gives you something a bit different to the usual tobacco, menthol or fruit options; a satisfyingly aromatic experience, perfect for vaping throughout the day, Vivid Vanilla by myblu™ could be your new favorite flavor. myblu pods are easy to replace: simply pop out your finished pod and click in a new one and you’re ready to vape! 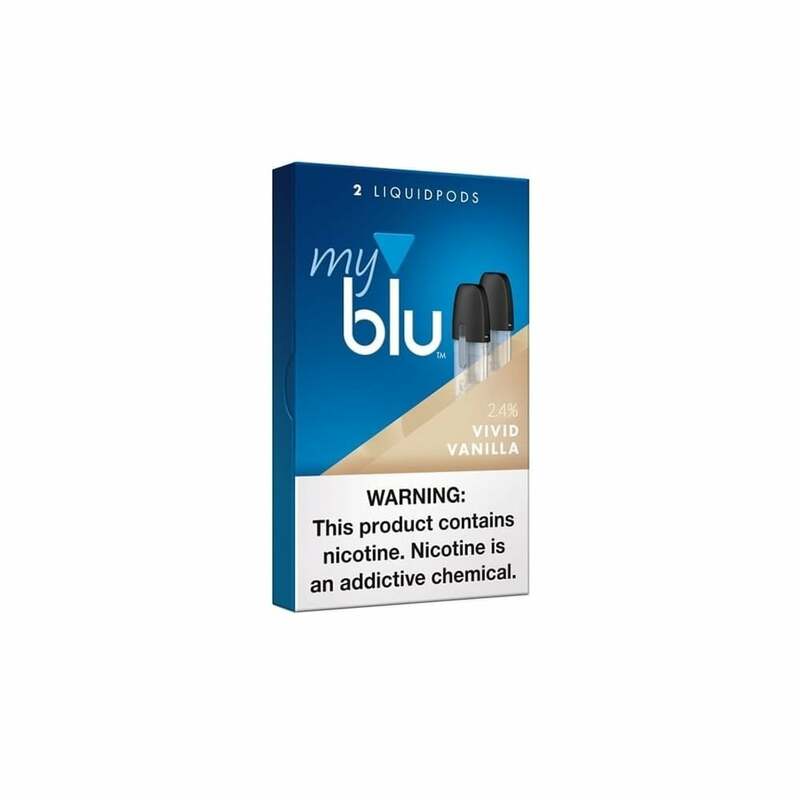 myblu™ Liquidpods all have a 1.5ml capacity and come in a range of nicotine strengths. Their organic cotton wick gives you outstanding flavor and satisfying vapor production. Love the vivid vanilla pods! Smooth, long lasting, and affordable! A nice relaxing vanilla flavor, with a good hit. One of Blu's best! Vivid vanilla is my favorite but when i received it, the pod's came leaking once they arrived. Very disappointed because my wife were not usable as we.. They too arrived leaking out..
Stronger Product By Far, A Few Puffs And I’m Done. This is a pretty good vape. Will be buying again. They were exactly what I was wanting. The price was great! Fast shipping! Will reorder for sure! These pods are great, I have yet to find a leaky one, just click in the pod and your ready to go!I personally like the Green Apple and Vanilla flavors. This is their best everyday smoking flavor. The only downside to these in general is that they do leak frequently. I would say the mango apricot flavor comes in a very close second place to this flavor. I did not like the Vanilla at ALL.